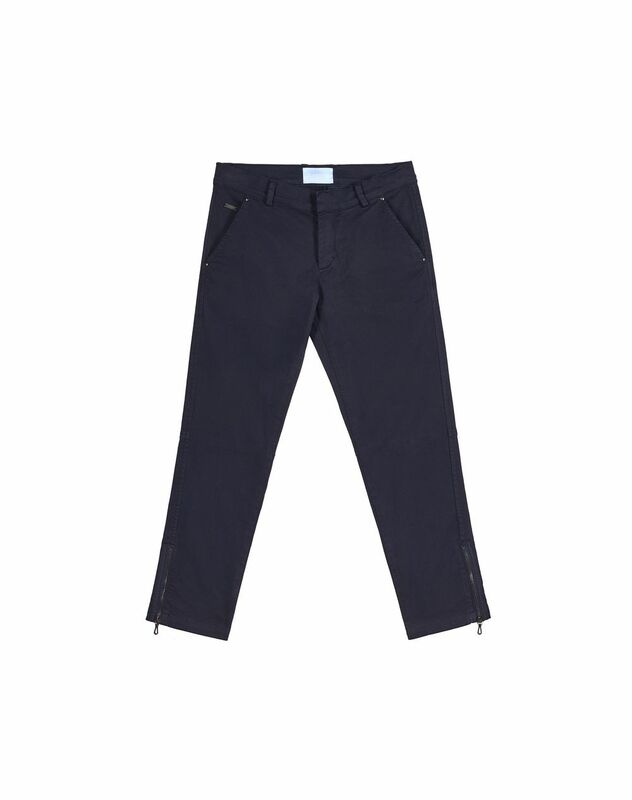 Casual “biker” style trousers in blue cotton satin, waistband with belt loops, side slanted pockets with metal rivets and exclusive “Lanvin” engraved patch, back buttoned welt pockets, and zippered bottoms. 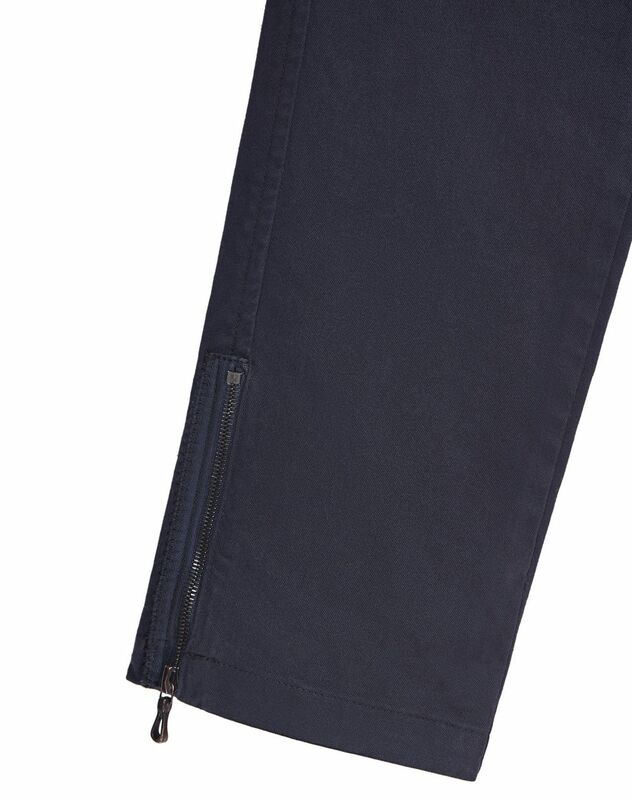 These blue cotton satin trousers draw inspiration directly from the Lanvin men’s ready-to-wear collections, revisiting the brands iconic “biker” trousers. 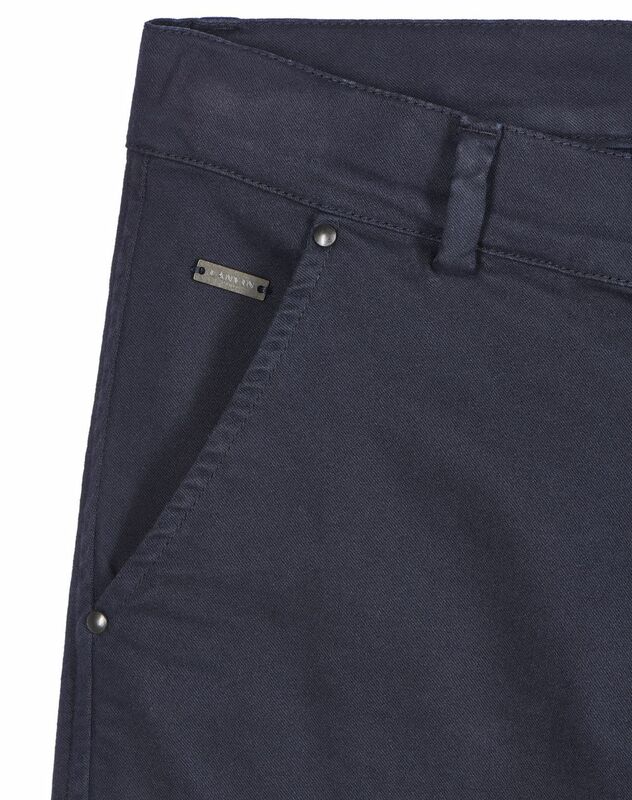 The eyelet work provides style and resistance, while the zippers and pockets ensure comfort at all times.